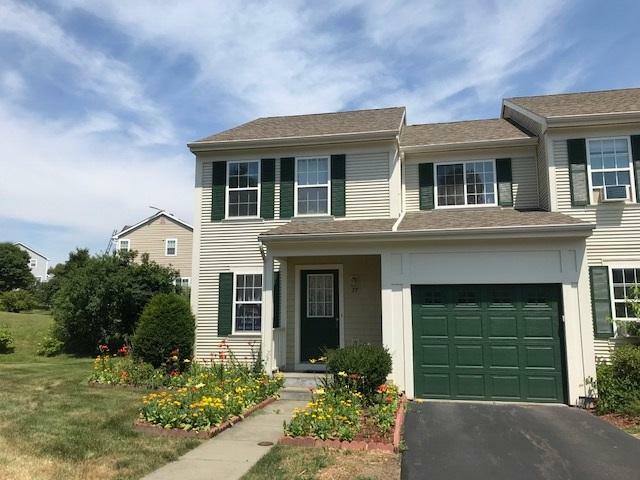 Located in the beautiful Mansfield neighborhood and close to Essex amenities, this lovely end-unit townhouse has been well cared for and offers a great floor plan. The kitchen is graced with maple cabinets, a breakfast nook and a cooks delight pass through to the dining area and entry. New hardwood floors can be found in the entry, dining area, living room and family room/den. Upstairs bedrooms are spacious and bright. Master bedroom has dual closets and a private bath, the second bedroom and the office/craft or guest room share a bath and a large center closet. Stepping outside the family room slider you will find a large patio perfect for bbq enjoyment or relaxation. Plenty of storage can be found in the full basement and the extra long attached garage. Lovely neighborhood with a mtn view, sidewalks, overflow parking for guests, a pool, and tennis and basketball courts complete this amazing home.